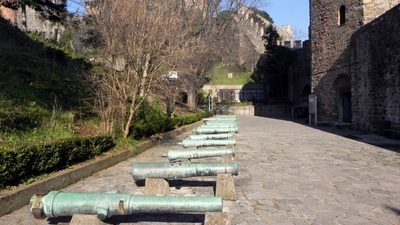 Built by Fatih Sultan Mehmet, the Conqueror to prevent any attacts from the north of the Bosphrous in 1452, Rumeli Fortress was established at the narrowest point of the Bosphrous on the European side. 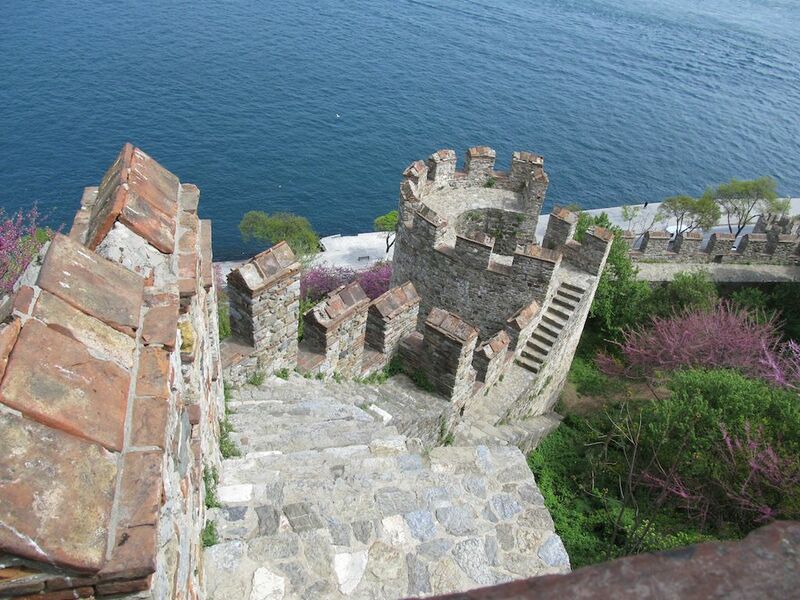 Rumeli Fortress is directly accross the Anatolian Fortress that is on the Asian side of the region. The location of it gained strategic advantage by doing it easy to contol the navy traffic along Bosphous and to prevent any threat from the Black Sea. 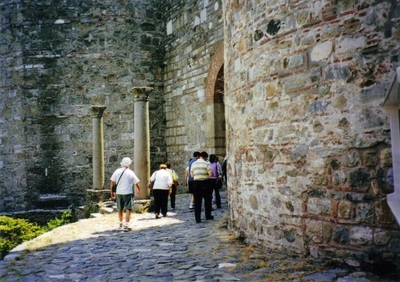 Composed of three basic towers, connecting walls and thirteen bastions, that Fortress was constructed unbelievably four months. The three huge towers that are about 30 meters high with walls ranging from 3 to 5 meters thick were named after pashas of Fatih Sultan Mehmet,who contributed the building of Rumeli Fortress such as Sarıca Pasha building the north tower,Zaganos Pasha building the south tower. Approximately, 300 sharks, 700-800 workers, 200 driver; boatman, mover and other drivers were worked . Also that fortress has been called different names in different period such as Kule-i Cedide, Yenice Fortress, Kemalpashazade, Asikpashazade and Bogazkesen Fortress. 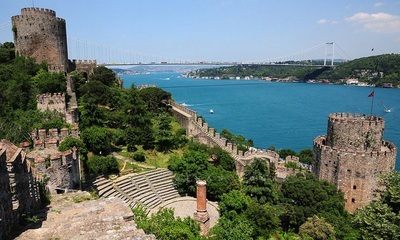 According to a remour; the great conqueror Fatih Sultan Mehmet made a plan to take Istanbul from the hands of Byzantines. Therefore he built Rumeli Fortress and wanted a land to construct a hunting lodge (a kind of mansion) the Byzantine Emperor Constantinople. Emperor Constantine made fun of him and said him ''you can take the land to a degree of the field covered calf leather''. When the clever sultan made use of that statement he solved the leather of calf like a rope. Finally he got the victory, won this game. After conquering of Istanbul (Constantinople) in 1453, this Fortress began to use as a prison. But then today it has been turned into since 1958. To be organized cultural events like concerts, theatre, amphitheatre was added here. 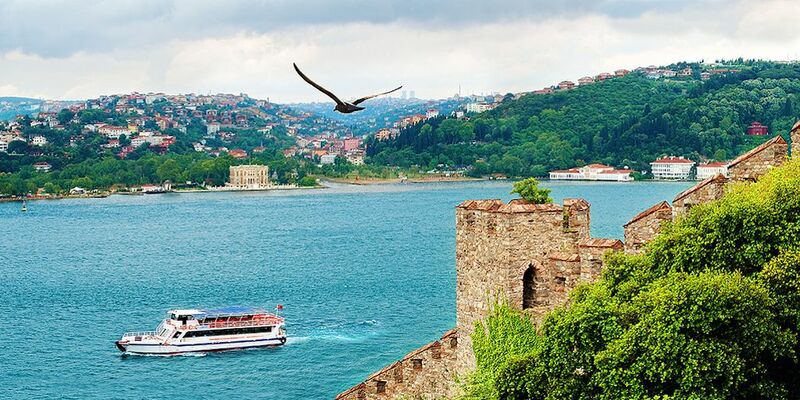 Today, the surrounding of Rumeli Fortress is exposed to many local and foreign tourist due to its privilege; many high quality restaurants and cafes such fish, breakfast restaurants were found upon the seaside.